Greece, Cyprus and Israel signed a memorandum of cooperation in research and development in Jerusalem Thursday in a bid to strengthen trilateral ties. The formation of a regional emergency force was also discussed. The meeting between Greek Prime Minister Alexis Tsipras, his Israeli counterpart Benjamin Netanyahu and Cyprus President Nicos Anastasiades came after Greece and Cyprus were among the first countries to dispatch water-dropping aircraft to help put out a devastating fire in Israel last month. 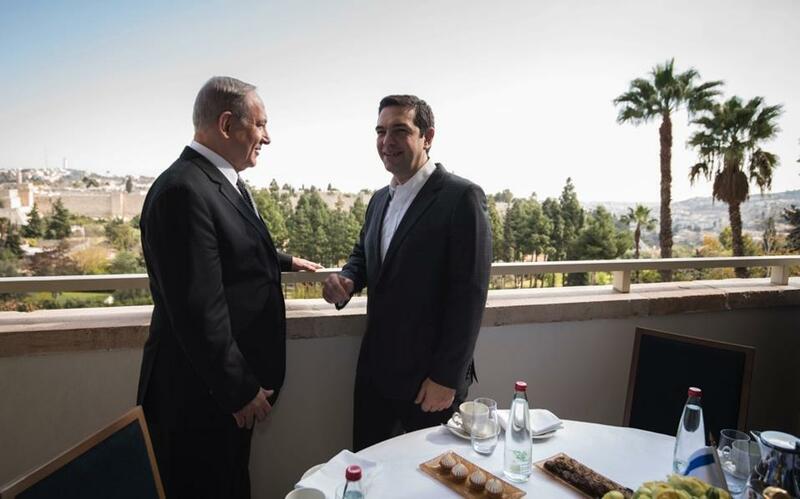 Tsipras reiterated his aim to make Greece a transportation hub for natural gas from Israeli and Cypriot reserves, while the three discussed cooperation in renewable energy. Tsipras also visited the Church of the Holy Sepulchre, which the National Technical University of Athens is helping to restore.